Zippy's is Hawaii's very own home grown chain and a "first stop" for many returning residents and visitors. : The first Zippy's opened in 1966 and it has been a popular eatery ever since. The food in the early days was better. Dishes on the daily specials menu may include sweet-and-sour spare ribs, teriyaki chicken, meat loaf and seafood chowder. 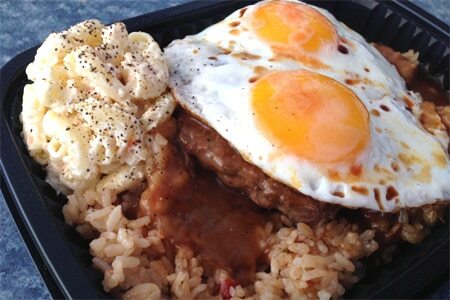 The plate lunch takeout items might range from hamburger steak with onions to pupu platters and tuna salad. One thing that remains first-rate is the baked goods at the in-shop bakeries where you can find slices of guava chiffon cake and the must-try Napples, flaky apple turnovers.